Home › Products › What is Self Defence DVD Launched! We are please to announce that we have just launched our new dvd – ‘What is Self Defence’. And in recent months there have been other cases of honest law abiding citizens killing intruders and being found innocent of any wrongdoing and in this dvd we will be providing you with the correct legal information on what exactly what the law allows you to do from qualified legal experts, including a Professor of Law who writes for the Times Newspaper. According to the British Crime Survey 1 in 5 women will experience sexual assault in their lifetime. Almost 1 in 20 women were stalked last year and 1 in 5 women will experience stalking in their lifetime. In 2007 and analysis of figures from the European Commission showed a 77% increase in murders, robberies, assaults and sexual offences in the UK. In fact, the total number of violent offences recorded compared to population is higher than any other Country in Europe as well as America, Canada, Australia and South Africa. It means that there are over 2,000 crimes recorded per 100,000 population in the UK, making it the most violent place in Europe. Sadly today in the UK there is an ever increasing risk of violence, as we have seen from recent news reports. In fact, 1 in 5 of all workers who have been signed off after work related assaults works in social care, according to the Health & Safety Executives figures. These figures equate to three Social Care Workers being assaulted each day. According to the British Crime Survey there were a reported 310,000 assaults on British workers in the UK. Yet this could just be the “tip of the iceberg” because, according to one Health and Safety Expert the “HSE only collects data on incidents that result in staff who have been absent for 3 days or more”. Your rights to self defence cannot be taken away by a contract of employment, and this is important for both the employee and the employer to know. Failing to understand this can leave employes suffering from work related stress and the employer open to an industrial tribunal. At the extreme end an employer could also be held liable under the Corporate Manslaughter and Corporate Homicide Act 2007 as well as the new key amendment to the Work-Related Deaths Protocol (WRDP) which came into effect on the 1st October if a death results in a breach of the duty of care owed to it’s staff under health and safety legislation. 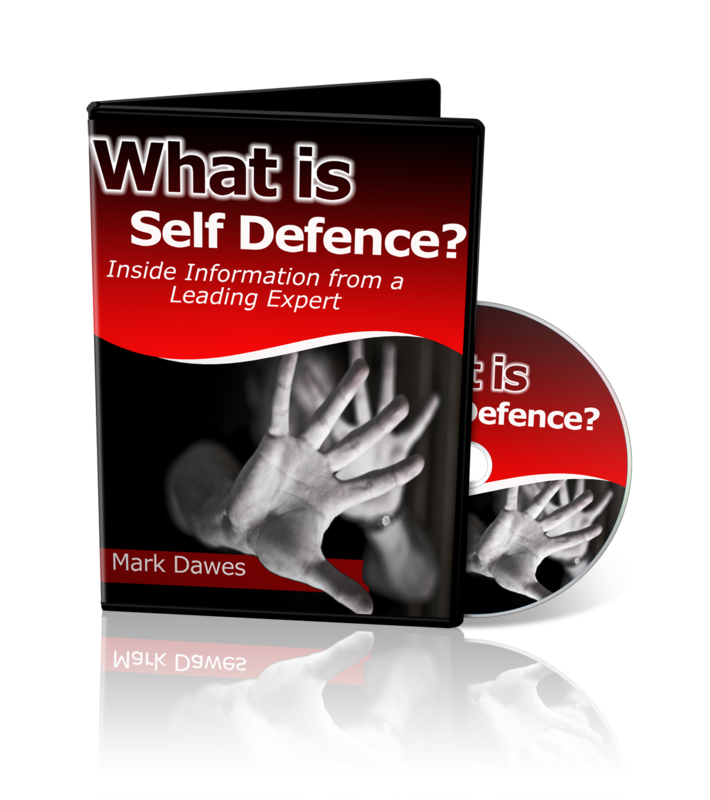 This new Dvd is packed with information to help you understand the law in relation Self Defence and in doing so understand exactly ‘What Self Defence is’, and has been designed to keep you safe by letting you know what your legal rights to self defence are. It will also help destroy the myths and misconceptions that abound in relation to Self Defence. Times are changing and I believe that people like you are now more aware of your rights then ever before. In fact, I believe that you are hungry to know what your rights are. For example, the case of Tony Martin back in 1999 first catapulted homeowners’ rights to defend their own property into the public consciousness when he shot and killed a 16-year-old burglar in the back as he tried to escape from his remote farmhouse in Norfolk. The farmer was so frustrated at repeated raids on his property that he had taken to lying in wait with a pump-action shotgun. As a result Martin became a cause celebre for campaigners when he was given a life sentence for the murder and jailed for 10 years. His conviction was later downgraded to manslaughter and his sentence reduced to three years. However, as a result of the Tony Martin case, many people started doubting their right to self defence. Many people still believe that the law works against them. Yes that is true!, It is statistically easier to get into Oxford and Cambridge University then it is to go to prison for defending yourself, and there are many cases to support this fact which you will hear about when you purchase this DVD. For example, the BBC News reported on the 22 July 2011 that the Crown Prosecution Service decided not to prosecute 59 year old PeterFlanagan who fatally stabbed 27 year old John Bennell, a burglar at his home in Salford. Then there was the case of Cecil Coley (as reported in the BBC News on the 7th September 2011) who will face no criminal charges after a suspected robber was stabbed to death at his shop in Greater Manchester, prosecutors have said.